WHAT'S IN THE BOX? 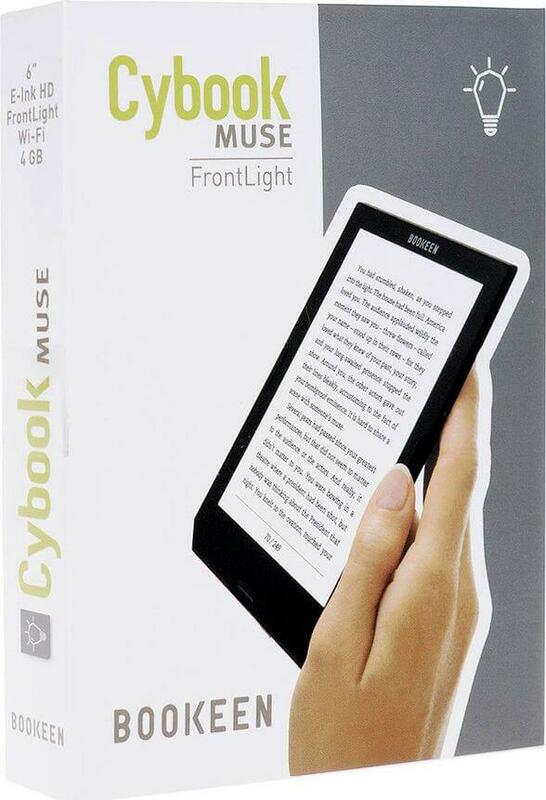 The box of the Cybook Muse FrontLight contains everything you need to get started with your eReader: - The Cybook Muse FrontLight eReader (1 year guarantee). - Micro-USB cable. - Quick Start Guide. TECHNICAL SPECIFICATIONS. Screen. 6" E Ink® HD screen (daylight readable) 16 grey levels Touch Screen Multi-touch capacitive touchscreen (finger or adapted stylus only) Weight. 190gr/6.7oz (battery included). Size. 155 x 116 x 8 mm. Resolution. 758x1024, 213 DPI. FrontLight System. Leds front lighting: invisible laminated Light guide film. 20 levels of FrontLight Anti-glare treatment. CPU. All winner A13 cortex A8 (1 GHz). Storage memory. 4 GB iNAND + MicroSDHC up to 32GB. Wireless. Wi-Fi (802.11 b/g/n). Content ebook formats. EPUB, PDF, HTML, TXT, FB2, DJVU. Content picture formats. JPEG, PNG, GIF, BMP, ICO, TIF, PSD. Peripherals. USB synchronization and charge cable. Expansion Port. Micro-USB V2.0. Battery. Rechargeable built-in Li-Polymer battery (1900mAh). Battery life. Up to 1 month (according to use, Wi-Fi disabled). Processor. Cortex A8 1GHz. Operating system. Embedded Linux. Buttons. Dedicated buttons to turn pages + main Menu/FrontLight. Software features. PDF reflow / annotations manager / text search / bookmarks / highlights / literary dictionary / 20 font sizes / personalization screensaver mode / collections manager. Web Browser. WebKit Based. Software suite. 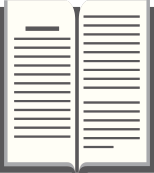 BooReader - Bookeen multi-format eBook reader. Adobe® Reader Mobile. Languages. The user interface is available in 24 languages: Czech, Danish, German, Dutch, Greek, English, Spanish, Finnish, French, Croatian, Hungarian, Italian, Norwegian, Polish, Portuguese, Romanian, Russian, Swedish, Turkish, Slovak, Slovenian, Lithuanian, Simplified Chinese & Traditional Chinese. Firmware Upgrades. OTA (Over The Air), SD card, USB connection. Activation. OTA (Over The Air), USB connection. Offered content. More than a 100 books for free. Warranty. 1 year full service warranty. Langues Interface utilisateur disponible dans 24 langues : tchèque, danois, allemand, grec, anglais, espagnol, finnois, français, croate, hongrois, italien, néerlandais, norvégien, polonais, portugais, roumain, russe, suédois, turc, slovaque, slovène, lituanien, chinois simplifié & chinois traditionnel.